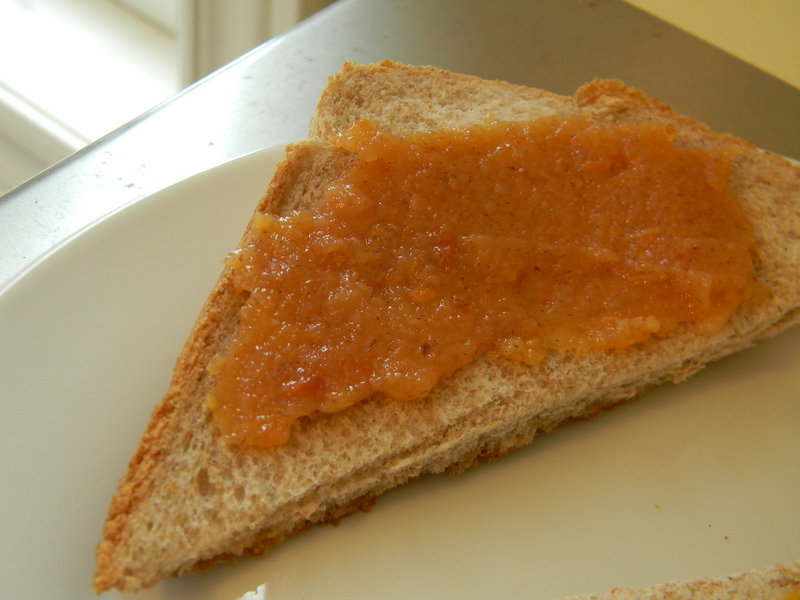 (Very) Vanilla Persimmon Jam: Toast Topper #59 | What Smells So Good? If you absolutely had to choose, which flavour would you cut out from your life forever - chocolate, or vanilla? I'm solidly in the chocoholic club, and while I'd miss the rich, floral notes of vanilla bean in unadorned ice cream, pudding and cake, it's so often a background nuance that I never really take time to consider it on its own. That said, most of the men in my life (Dad especially) are vanilla lovers through and through. You will never see a chocolate cake at their birthday party (unless someone brings a second cake), and if they, for some reason, have to choose a piece of chocolate they go straight for the white stuff. Which is fine, really - the more Amedei Chuao for me the better! Since I made the frosting for my mom's birthday cake (a riff on Super Vanilla Frosting, where I added vanilla custard powder for more oomph) I've been trying to give vanilla a bit more mind in the kitchen. My taste project was aided further by my grandmother, who upon returning from the Dominican Republic, gave me two vials of vanilla extract from there. They smelled absolutely unlike any other vanilla I've used - sweet and almost fruity, with a delicate tropical note I can't quite place. I don't think they're true vanilla extract, judging by the research I've done, but taste and useability wise it's about on par with the bottle of Mexican stuff that I bought (still short of my favourite Tahitian, though), and lends itself well to fruit-based applications as well as things where it's baked (unlike frostings, ice creams, etc). When I found myself with some extra vanilla persimmons kicking around, I decided to give making jam with a "vanilla" theme it a shot to see if I could marry dessert flavours with the idea of a breakfast spread. I wanted to keep everything relatively low-sugar, so the amount I did put in needed to be flavourful - in this case, obviously, vanilla sugar. The sticky, meltingly soft persimmons went in next, along with the seeds from half a vanilla bean and the extract. The buttery spread goes on smooth and luxurious, perfect as is or offset with a salty peanut butter on toast. In short, think the vanilla equivalent of Nutella... i.e. irresistible! Combine persimmons, calcium water and lemon juice in a pot and bring to a boil. Mix sugar and pectin together in a small dish and add the mixture to the fruit, stirring vigorously for 1 to 2 minutes to dissolve the pectin while the jam comes back up to a boil. Once the jam returns to a full boil, remove it from the heat. Stir in the vanilla seeds and vanilla extract.